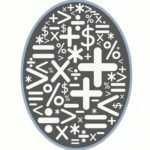 As the April 18 tax filing deadline approaches, the Internal Revenue Service reminded nearly 40 million taxpayers who have yet to file their tax returns that there are a variety of options to help them in the final days of the 2017 tax season. The IRS has tax help, publications and information on IRS.gov to help last-minute filers, including information about free e-file options, such as FreeFile, or how to request an automatic six-month filing extension. Additionally, IRS telephone lines will have a special Saturday opening on April 15, from 9 a.m. to 5 p.m., callers’ local time, to help taxpayers with last-minute issues. The IRS enters the busiest period of tax season this week, with millions of people planning to file. Through April 7, the IRS has processed more than 100.9 million tax returns and issued more than 80.2 million refunds totaling $228.9 billion. The average refund is $2,851. The IRS expects to receive about 18 million individual income tax returns for the week ending April 15, with about 16 million filed electronically. On top of those 18 million tax returns, the IRS expects to receive another 12 million tax returns the following week. The IRS expects to receive more than 8 million extension requests through next week, with the vast majority of those Forms 4868, Application for Automatic Extension of Time to File U.S. Individual Income Tax Return, being filed electronically. Overall, this year, the IRS expects to receive 13 million extension requests from taxpayers. Taxpayers can download, print and file a paper Form 4868 from IRS.gov/forms. The form must be mailed to the IRS with a postmark on or before April 18. Taxpayers are reminded that an extension of time to file is not an extension of time to pay. 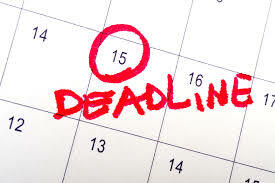 Tax payments are due April 18. Submit an estimated tax payment with the Form 4868. In addition to using Free File to get a filing extension, taxpayers can also get an extension by paying all or part of the estimated income tax due and indicate that the payment is for an extension using Direct Pay, the Electronic Federal Tax Payment System (EFTPS), or a credit or debit card. This way they won’t have to file a separate extension form and will receive a confirmation number for their records. IRS Direct Pay offers individual taxpayers a free, secure way to pay an individual tax bill or estimated tax payment directly from a checking or savings account at no cost. No pre-registration is required and payments can be scheduled up to 30 days in advance. By selecting “extension” as the reason for the payment, the IRS will also accept it as an extension – no need to separately file a Form 4868. In addition, any payment made with an extension request will reduce or eliminate interest and late-payment penalties that apply to payments made after April 18. The interest rate is currently four percent per year, compounded daily, and the late-payment penalty is normally 0.5 percent per month. Taxpayers who changed tax software products this year may need their adjusted gross income (AGI) from their 2015 tax return to complete the e-file process. Those needing their AGI, should review the methods of obtaining a copy at Validating Your Electronically Filed Tax Return. Taxpayers should keep a copy of tax returns and supporting documents.